Pope Francis is banning the sale of cigarettes in the Vatican City State from next year. ROME — Pope Francis is ending one of the less healthful perks of life in the Vatican: cheap cigarettes. Selling discounted tobacco to employees and pensioners, without the increasingly stringent taxes imposed in surrounding Italy, has long been a source of revenue for the tiny Vatican City State. Many people in Rome have bought cigarettes through acquaintances at the Vatican. But cigarette sales will be banned from next year, a Vatican spokesman announced on Thursday. 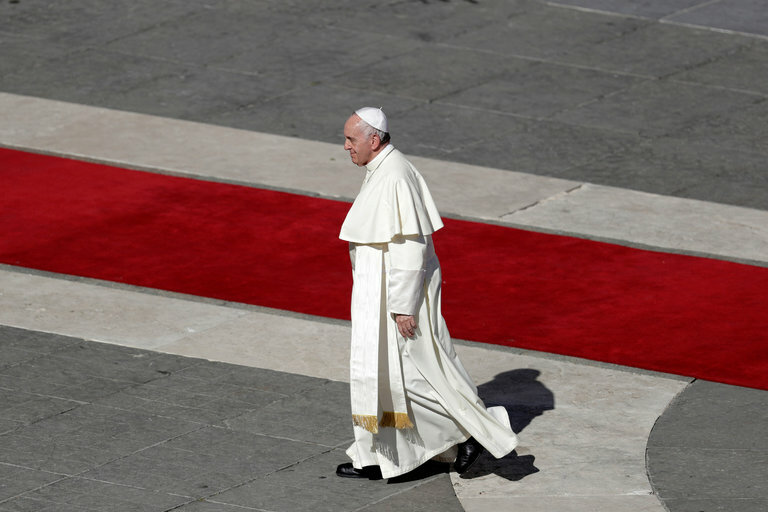 “The Holy See cannot contribute to an activity that clearly damages the health of people,” the spokesman, Greg Burke, said in a statement, citing World Health Organization figures that smoking causes seven million deaths a year. Cigarettes were sold through duty-free shops reserved for employees and citizens of Vatican City. According to a 2015 book based on leaked Vatican documents, cardinals were entitled to a discount on up to 200 packs a month. The Vatican said employees could purchase a maximum of 50 packs a month. On Thursday, Francis also approved a step toward sainthood for Pope John Paul I, who died in 1978 only 33 days into his papacy.